Images from the book, Moving Walls: The Barracks of America’s Concentration Camps, in a package of 6 blank note cards with envelopes. Each card with a different black and white photo. Size: 4 x 5.5 inches. 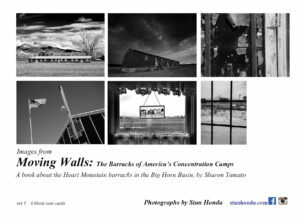 (Click to enlarge photo) Images from the book, Moving Walls: The Barracks of America’s Concentration Camps, in black and white, on photographic quality note cards, 4 inches by 5.5 inches with envelopes. 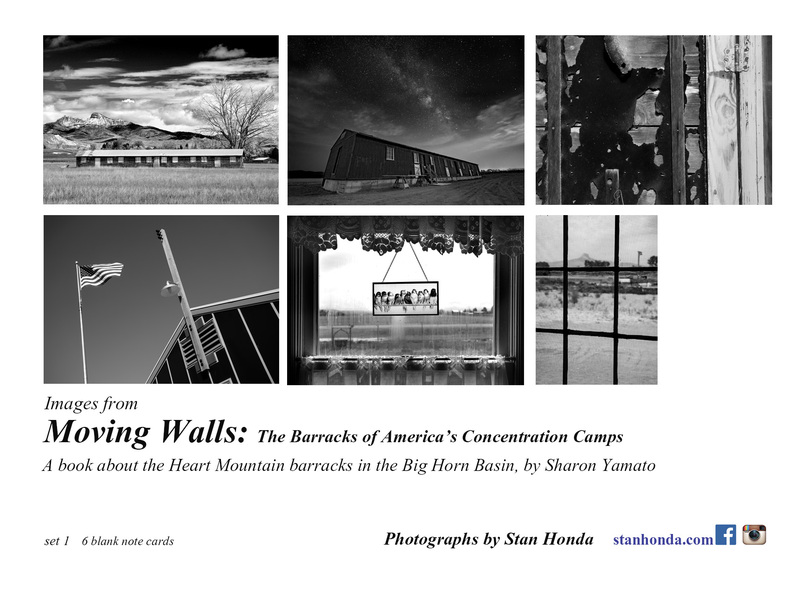 The book explores the dual identities of the Heart Mountain barracks, used first as housing by incarcerated Japanese Americans at the Heart Mountain confinement center during World War II and subsequently turned into homes and farm buildings for post-war homesteaders in the area.